After moving last June, Bob Beck and his wife are proud to own a home in Palma Sola Bay Club, the community awarded six wins in the local 2016 Parade of Homes showcase earlier this month. Bradenton resident Bob Beck lives and breathes Manatee County. After years in the newspaper business and moving across the U.S., he and his wife, Diane, made ‘The Friendly City’ their permanent home back in 1991. The ambitious businessman, now founder and CEO of Automated HR Solutions, LLC, wasted no time immersing himself in local non-profit organizations, various service organizations and taking on roles such as Chairman of the Manatee Chamber of Commerce, Suncoast Workforce Board, United Way of Manatee County and Meals on Wheels of Manatee. 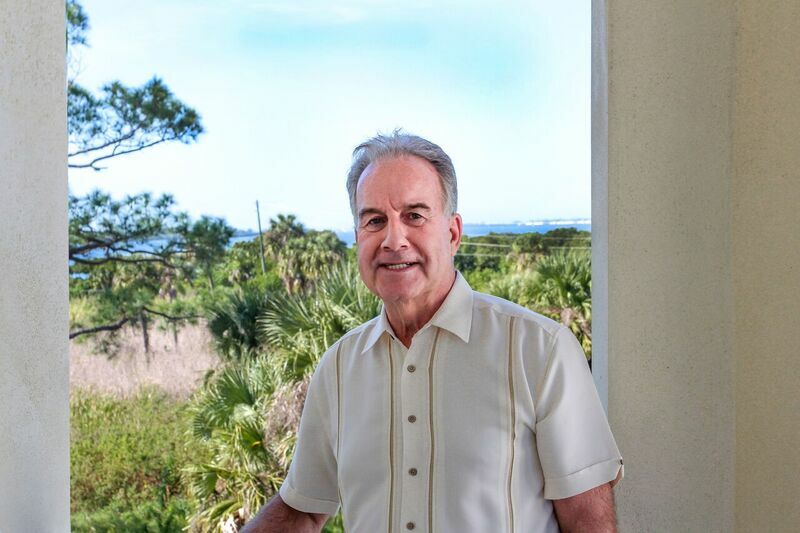 After years of working closely with community officials, running a number of private businesses and engaging in many of Bradenton’s cultural activities, the Becks settled into a new chapter of life last June: Choosing the beautiful bayside community of Palma Sola Bay Club as their new home. The community recently received six awards in the local 2016 Parade of Homes hosted by the Manatee-Sarasota Building Industry Association. The heated clubhouse pool is among Beck’s favorite residential amenities, due to the fact that he and Diane can socialize with other “pool regulars”. They also enjoy the fire pit and barbecue area, perfect for “throwing one heck of a party!” With an observation deck overlooking the bay, winding biking and walking paths and three wildlife ponds, along with a preserve, the community is continuing construction on its diverse set of features. 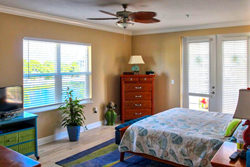 Palma Sola Bay Club is a condominium community in Bradenton, Fla., located just minutes from the beach, downtown Bradenton, Fort DeSoto National Park and Robinson Preserve. Developed by Prospect Real Estate Group, this exclusive, gated community, when completed, will consist of 23 four-story buildings, each including nine residences, underground parking and built-in elevators. 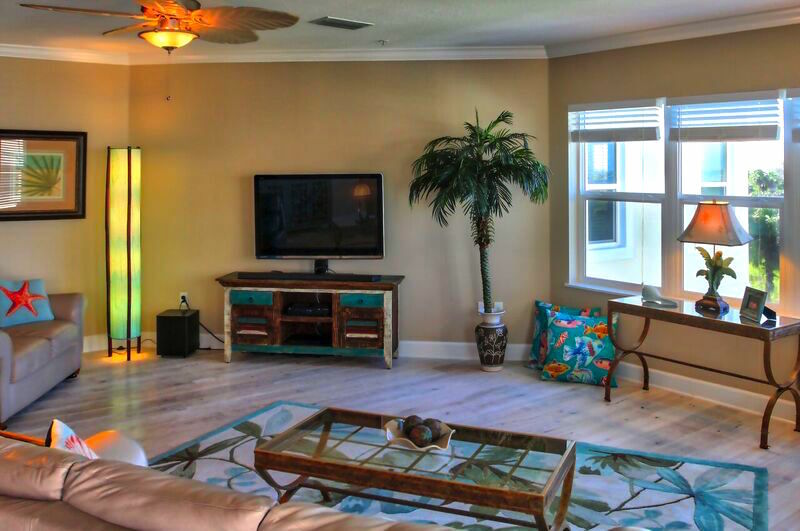 The condominium-style residences, many with sweeping views of beautiful Palma Sola Bay, feature a unique blend of Key West and Florida coastal-inspired architecture, along with interior that includes high ceilings and abundant natural light. The two and three-bedroom condos are 1,657 and 1,857 square feet with prices starting from the low $300,000’s. Visit http://www.PalmaSolaBayClub.com or call 866-217-2770 for more information. To learn more about the community's participation in the Manatee-Sarasota Building Industry Association's Parade of Homes, click here.